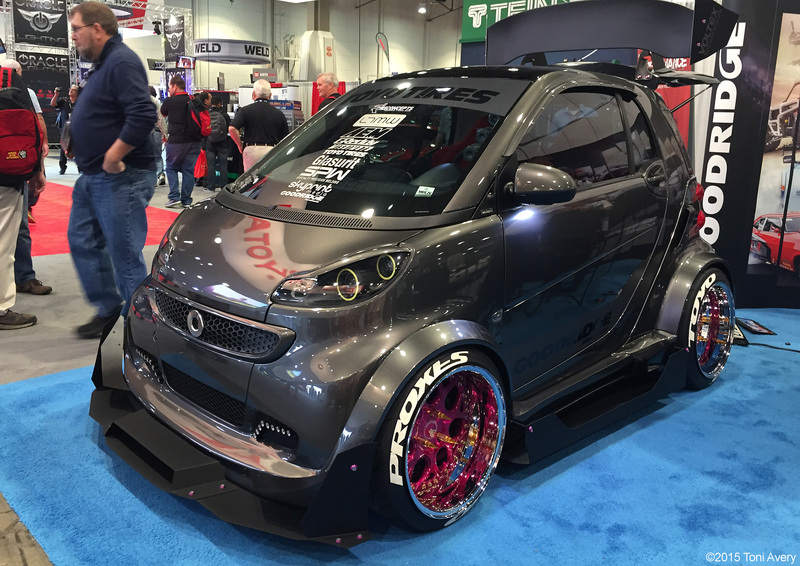 SEMA 2015: The Good, The Bad and The What? 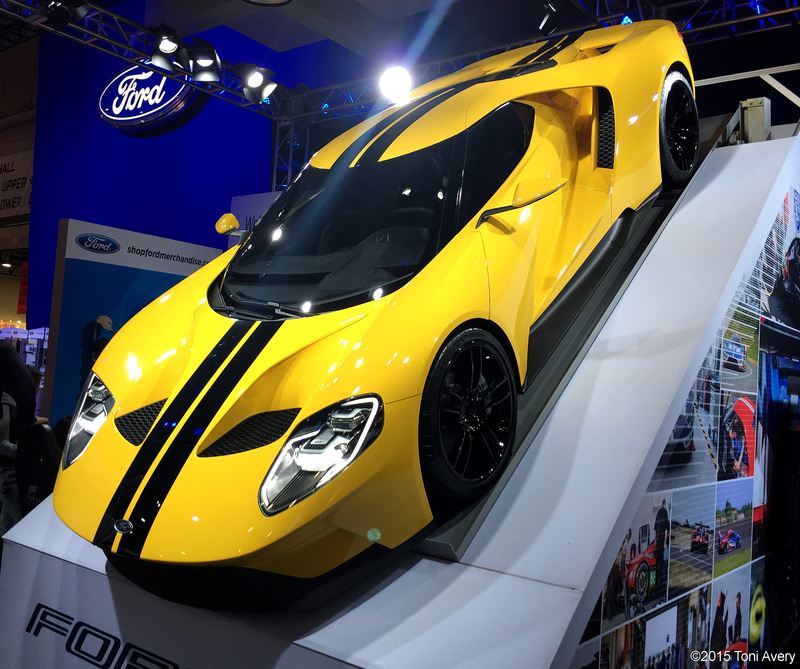 The SEMA show is one of the biggest and most exciting automotive related events of the year. Tuners and specialty shops work all year to create a car that will cause attendees to stop and stare. Most all automotive celebrities attend either to see the great cars and new products or to make special appearances during the week. 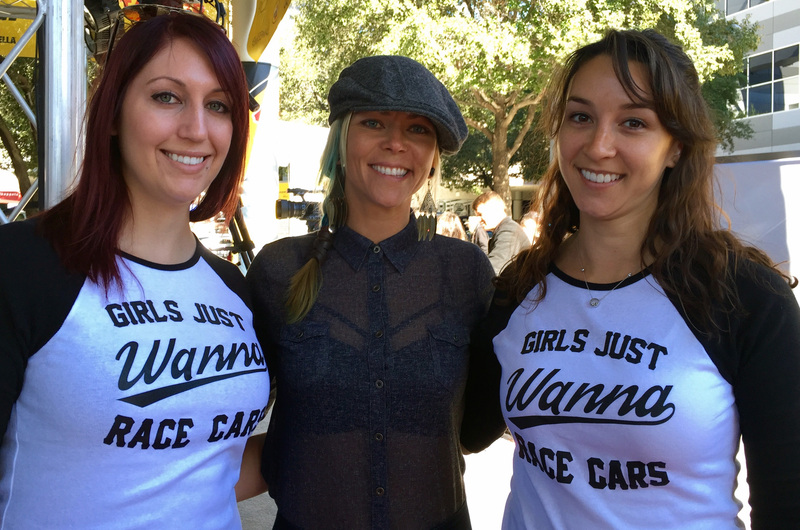 I was lucky enough to meet one of the coolest chicks in the auto industry, Jessi Combs (in the center of photo below). She has starred in many shows including All Girls Garage, Overhaulin’ and more. It was such a thrill to meet her and she loved our shirts! Miata at the Koni Shocks booth: Just love the red accents! Mustang Dragg Police car: Would love to see one of these in action! Kia Forte Koup Mud Bogger: Yikes! I get the idea but the execution just doesn’t work here! Nissan GT-R in metal: Way to take a cool design and turn it into yuck! Yeah Toni, that is painful. It still amazes me what people consider to be “creative”. The same morons would probably claim the ability to improve on the Mona Lisa. It is disrespectful to do that on such a beauty. Ford GT and Miata speedster, love them!